UPDATE 6:48PM —Doss was ordered held without bail during an initial hearing this afternoon. 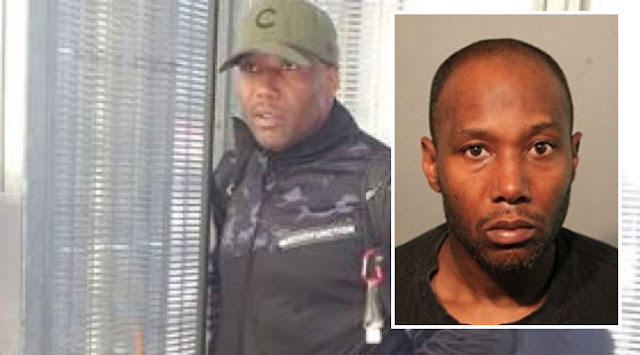 A 46-year-old Wicker Park man has been charged with attempted murder and aggravated battery for allegedly knocking a woman onto the Belmont Red Line tracks Friday afternoon. State records show the man has a significant criminal history, including four convictions for robbery. Melvin Doss was taken into custody at the Kimball Brown Line station Tuesday afternoon when a CTA worker recognized him on a train and alerted police. After noticing Doss, the transit worker ordered the train to stay in the station until police arrived. CWBChicago was first to report the arrest. A source said Doss was wearing the same hat and jacket seen in a photo of the suspect that was taken moments before Friday's incident. 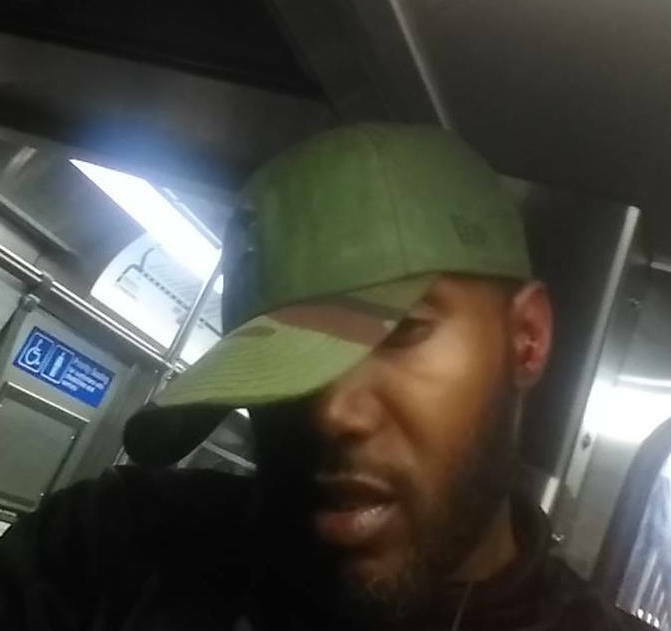 Doss’ Facebook page includes a profile photo that appears to show him wearing the same olive green Chicago Cubs hat that the suspect wore. Doss is riding a CTA train in the profile photo. After being paroled in 2014, Doss was arrested four times in Chicago that year, according to CPD records. He has not been arrested in the city since. Just after 4 p.m. on Friday, a 48-year-old woman was punched in the head and onto the northbound Red Line train tracks at Belmont by a man she had asked to stop urinating on the platform. Police said the woman’s head struck a train rail and she broke her arm by trying to cushion her fall. The victim had eight staples placed in her head and a soft cast put on her hand and forearm. In an interview on Saturday evening, the victim told CWBChicago that she took a photo of the man after he threatened her during a confrontation. Seconds later, he hit her in the back of the head, causing her to fall from the platform and onto the tracks, the woman said. Doss is due in bond court on Wednesday afternoon.